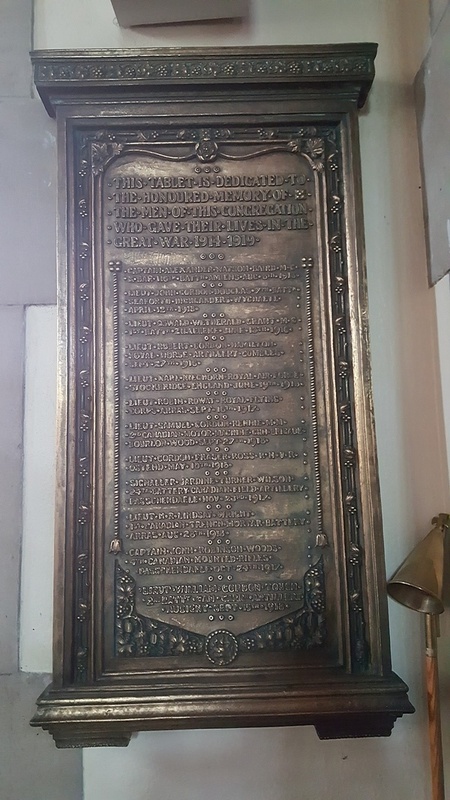 Other memorials are the plaques to be found mounted on the walls of the church. Near the flags and at the cross aisles are tablets for both wars honouring those who served and remembering those who died. 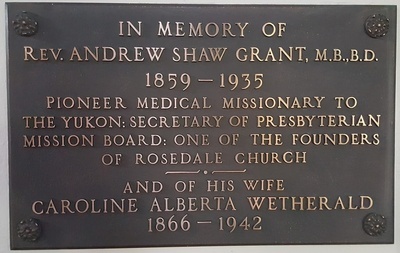 On the South wall of the transept is a plaque in honour of Dr. and Mrs. Andrew S. Grant, presented by their children. 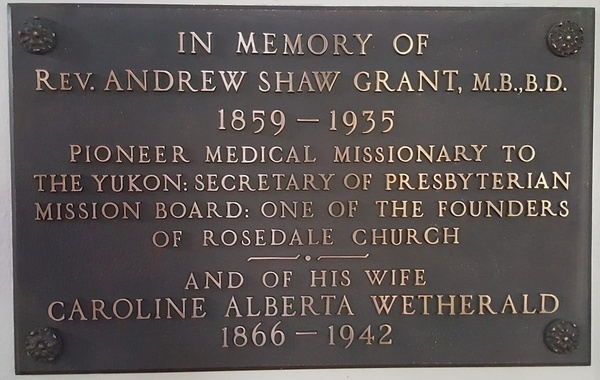 Dr. Grant was a physician and a minister who served in the Yukon at the time of the Gold Rush in 1898 - 99. West of this is a plaque in honour of the youth of the church during the Forward Movement. 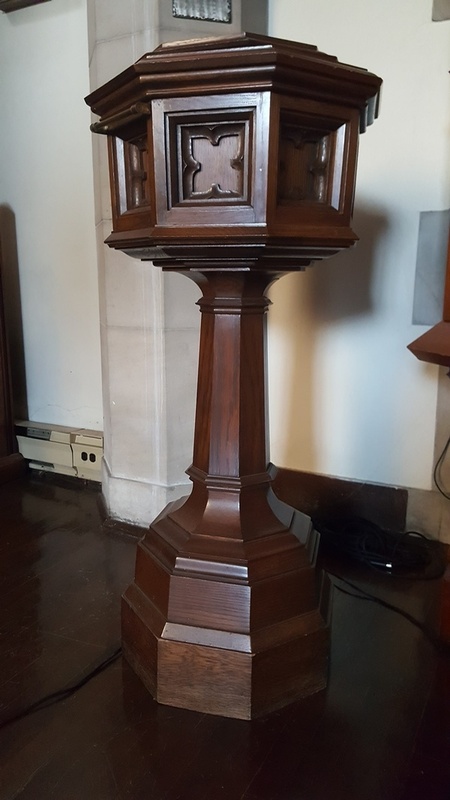 The baptismal font honours; Jennie L. Risdon and was given by her son. The original pulpit falls, now replaced, were donated by the family of Mrs. Anne Elizabeth Duncanson and dedicated in her memory. The stand for floral arrangements in front of the lectern was given in memory of Arthur Emerson MacGregor and his wife Alice. 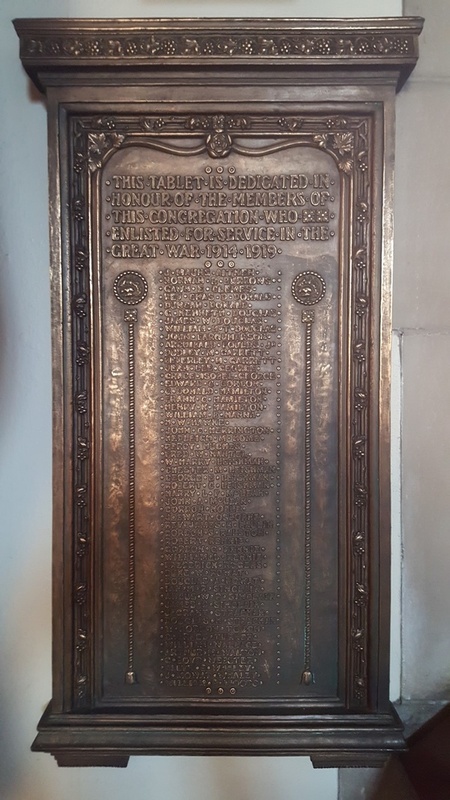 The new organ was dedicated to those who died in Two World Wars. 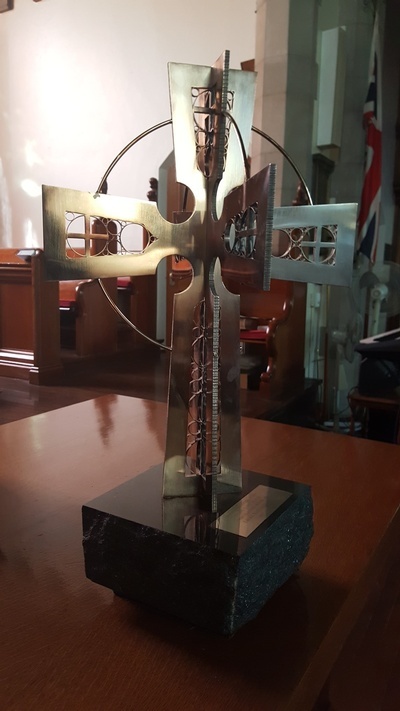 Our most recent memorial is the magnificent Iona Cross placed on the communion table and donated in 1984 in memory of Laura Margaret Keith by her family. 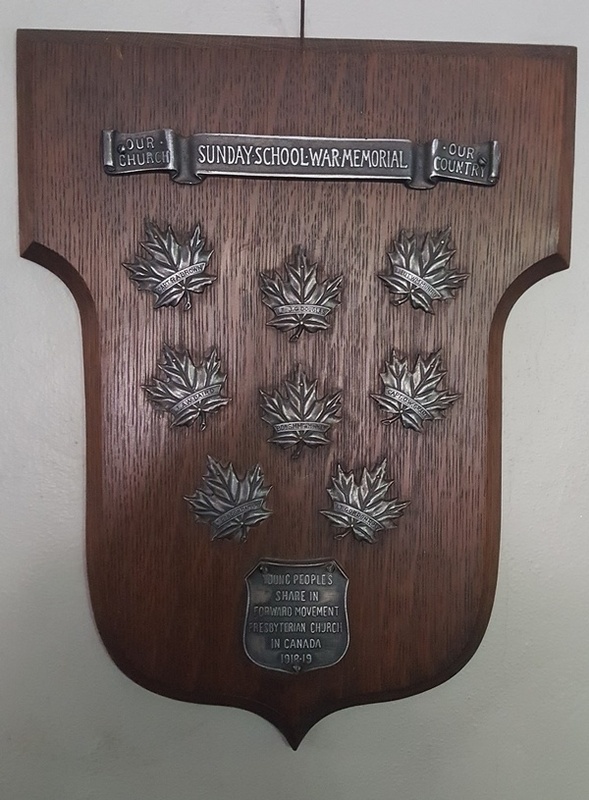 This has been a long "tour" but it has covered just our first 100 years. We hope you have been made to feel welcome and that you will come back to worship with us in our second century and take a place under your favourite window.